[MissingFeature] Database [Content_Database] has reference(s) to a missing feature: Id = [ec662500-768e-4603-9963-d38f185ded4a]. The feature with Id ec662500-768e-4603-9963-d38f185ded4a is referenced in the database [XXX_WSS_Content_80], but is not installed on the current farm. The missing feature may cause upgrade to fail. Please install any solution which contains the feature and restart upgrade if necessary. [MissingAssembly] Assembly [Vizit.Utils, Version=5.1.0.1187, Culture=neutral, PublicKeyToken=f6193dfd5b49167f] is referenced in the database [Content_Database], but is not installed on the current farm. Please install any feature/solution which contains this assembly. One or more assemblies are referenced in the database [Content_Database], but are not installed on the current farm. Please install any feature or solution which contains these assemblies. 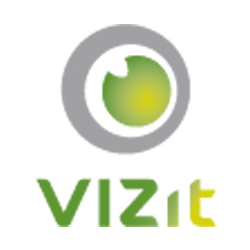 [MissingAssembly] Assembly [Vizit.Utils, Version=5.2.0.1283, Culture=neutral, PublicKeyToken=f6193dfd5b49167f] is referenced in the database [Content_Database], but is not installed on the current farm. Please install any feature/solution which contains this assembly. One or more assemblies are referenced in the database [Content_Database], but are not installed on the current farm. Please install any feature or solution which contains these assemblies. In most cases, this can be remedied by manually removing the features from the Content Database. Here are blog posts which detail this process.